The English Salon was established in October 2014 as an environment where people interested in science and innovation can get together and practice scientific discussion in English. Please feel free to come along, bring your lunch and enjoy academic discussion in a relaxed environment. Sessions are held on Fridays during lunchtime. All welcome. To reserve a place please access the following page, press book now and fill in your details (https://v1.bookwhen.com/englishsalon). There are a maximum of 15 places at the English Salon and they are automatically allocated. You will receive an email when your booking has been completed. Please be sure to cancel if you decide not to attend. Please make sure to send us a mail on the week that you would like to attend. We will do our best to accommodate you. 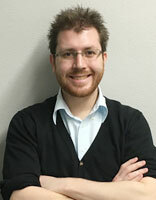 About Anthony : Moved to Japan in 2006 and spent several years teaching English. Passed the Japanese Language Proficiency Test (JLPT) Level 2 in 2010. 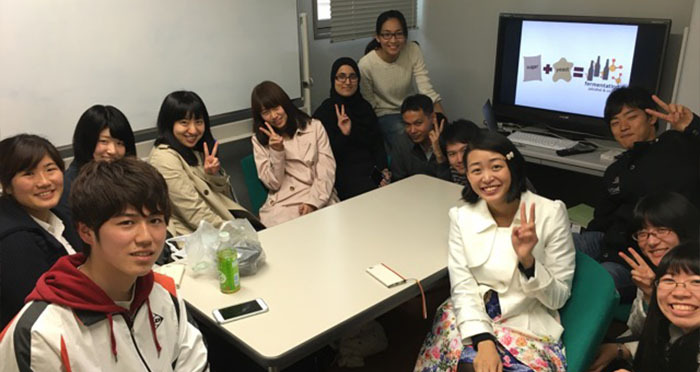 Started working at Kyushu University in 2013 and moved to this department in February 2014. Currently working in the Department of Research and Development of Next Generation and supporting the Internationalactivities of the Center for Clinical and translational Research. 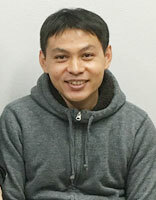 About Kasem : He graduated PhD from Thaialnd and started post-doctoral research at Kyushu University in Nov 2008. He has been working in basic medical research on hematopoietic system of mouse and zebrafish. Now he is working as assistant professor and focus on education of drug development and basic research. Copyright c KYUSHU UNIVERSITY. All Rights Reserved.